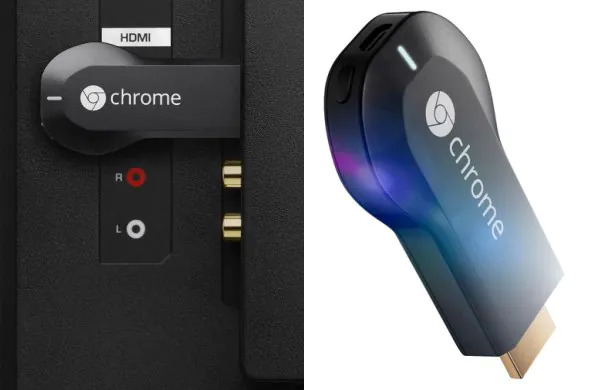 In addition to the newly refreshed Nexus 7 and Android 4.3 which were officially announced at Google’s Android and Chrome event earlier this morning, the search giant has also unveiled another device called Chromecast. As the name might implies, it is a HDMI dongle that allows users to stream contents (hence “cast”) from their WiFi-enabled devices to their TV. By devices, we meant Windows and Mac machines (via Chrome browsers) together with Chromebook Pixel as well as Android 2.3+ and iOS 6.0+ devices. From we were made to understand, the Google Chromecast is rather simple to use. All users got to do is plug in the device into their TV, open up the app that supports Chromecast (such as YouTube and Netflix) on their device and press the “Cast” button on the app to start enjoying the contents on their TV screen. Since the content is now being shown on TV, users now able to do other task on their devices simultaneously without interruption.